Amazon is inching ever closer to making its long-awaited decision on where to build its second North American headquarters, with the company entering “advanced discussions” to set up shop in Arlington County, Virginia’s Crystal City, with additional facilities in nearby Potomac Yard in Alexandria, the Washington Post reported on Saturday. However, on Sunday the Wall Street Journal reported similar negotiations are ongoing with officials in Dallas and New York, while CNBC reported that Austin is also a strong contender. Other cities are not totally out of consideration yet. The e-retail giant has been negotiating with cities for over a year, which in practice has often equated to government and private officials stumbling all over themselves to lure Amazon with the most decadent, multi-billion-dollar incentive package. Amazon narrowed down the list to 20 cities earlier this year, further intensifying the competition. As the Post noted, Amazon has said it will pour billions of dollars in capital investments into whichever city it chooses, while its CEO Jeff Bezos has promised to donate $2 billion to anti-homelessness measures. But the secrecy surrounding its negotiations with cities has led to widespread accusations that Amazon—an absurdly wealthy company verging on mega-corporation status, helmed by the richest man in modern history—is shaking them down in private with the eager assistance of local officials. Maryland has offered an incentive package worth an estimated $8.5 billion, while the Newark subsidies are estimated at $7 billion. On Wednesday, a judge in Allegheny County, Pa., ordered the release of Pittsburgh’s proposal after a legal fight with a local television station. The decision is expected to be appealed. In a move unlikely to help that widespread perception of corporate welfare, Amazon director of economic development Mike Grella harshly criticized “the genius leaking info” about Crystal City on Twitter, writing they were treating a non-disclosure agreement “like a used napkin.” As MarketWatch noted, this was hardly indicative that Amazon intends to have a “symbiotic relationship” with the eventual HQ2 host city. It could instead be charitably described as bullying. Amazon is “anything but predictable,” said one of the people familiar with ongoing negotiations in Virginia. Site selection specialists say Amazon likely is having late-stage talks with two or more cities, and has other cities on hold, in case any one deal can’t be completed. A group of developers in Dallas, where advanced talks also continue, recently purchased property on a site there that they earmarked for Amazon. 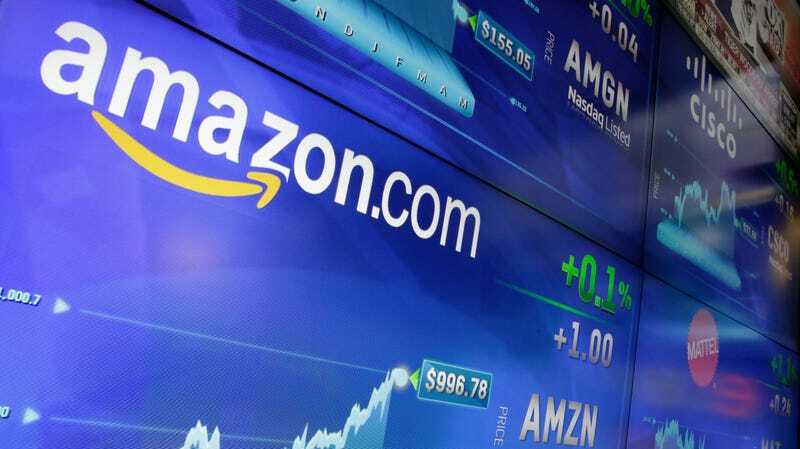 The Journal reported that Chicago and Miami “had been until recently in contact with Amazon,” though the cessation of those talks does not necessarily indicate they are no longer possible choices. In other words, as the front-runner race has narrowed, Amazon is still dangling HQ2 like a bone on a stick. And as our sister site Splinter noted earlier this year, Amazon is extremely likely to bring up the previously offered incentives if or when it decides to expand in any of the cities that dueled for HQ2.